Explore the numerous day-trip ideas around Konstanz: Wallfahrtskirche Basilika Birnau (in Uhldingen Muhlhofen), Burg Meersburg Castle (in Meersburg (Bodensee)), Ravensburger Spieleland (in Meckenbeuren) and Affenberg Salem (in Salem). 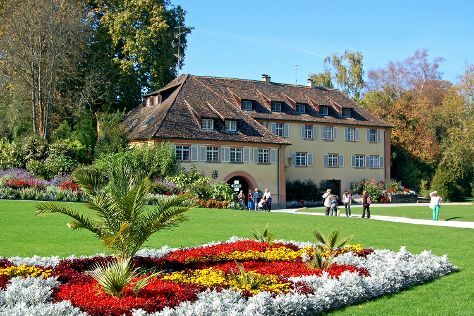 There's much more to do: head off the coast to Isle of Mainau, make a trip to Dreifaltigkeitskirche, and get outside with Erlebniswald Mainau. For more things to do, where to stay, and more tourist information, refer to the Konstanz travel guide. August in Konstanz sees daily highs of 28°C and lows of 15°C at night.